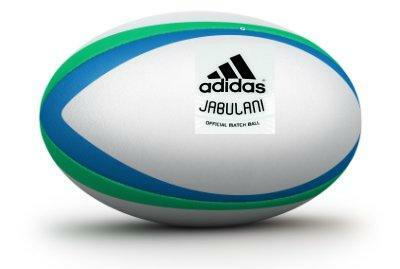 Following the rip-roaring success of the adidas Jabulani football at the FIFA World Cup in South Africa, sources inside the IRB have indicated that the German manufacturer has been approached to design a rugby version of the ball for the 2011 Rugby World Cup in New Zealand. The new ball will be manufactured using a new design consisting of 16 thermally bonded 3-dimensional panels molded from ethylene-vinyl acetate and thermo-plastic polyurethanes. The IRB have been particularly encouraged by the unpredictable flight of the Jabulani football, and believe that adopting a ball with similar properties in rugby will discourage kicking to touch and long-range penalty attempts. The RFU is said to be vehemently opposed to the plan which it sees as a blatant ploy to scupper the England team’s efforts to reach its third consecutive World Cup final.